Penny Brohn, one of the three founders of the famous Bristol Cancer Help Centre, did not spare herself when the Centre experienced a serious crisis in the early 1990s. After her death this sacrifice was acknowledged in changing the centre’s name to The Penny Brohn Cancer Centre. When the Bristol Cancer Help Centre was opened by Prince Charles in 1983 the media reported the event widely as a major breakthrough for Complementary Medicine. One of its most dedicated promoters, acupuncturist, "cancer patient", and co-founder of the centre, Penny Brohn found herself launched on an extraordinary career as a "public personality". Her charisma and unorthodox attitude to illness and healing inspired fellow sufferers and fellow humans, while her ideas about a new relationship between doctor and patient, involving partnership and shared responsibility, caused much head-shaking amongst adherents of conventional thinking. 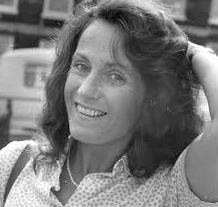 In the mid - eighties Penny played an important part in the making of a memorable BBC 2 series called "A Gentle Way with Cancer" and in 1986 she published her first book. "Gentle Giants" (Century Hutchinson Ltd) with its honest portrayal of her pioneering struggle for true health rather than mere cure is absolutely compelling reading. Al the beginning of the nineties, the media seized on the sensational news that "women with breast cancer visiting the Bristol Cancer Help Centre die earlier than those who follow traditional treatment". A flawed research project and conventional medicine's growing concern about its own future had led to this ill - advised attack on what by then had become the flag-ship of Complementary /Alternative Medicine. Penny Brohn was too committed to the cause to leave the scene at this critical time, even though her cancer asserted itself again. Eventually Penny had to give in and have conventional treatment. After an operation on her spine had greatly reduced her mobiliiy, she decided to try Feldenkrais. In May 1993 I underwent major surgery to remove a malignant tumour from my spine. The tumour had grown so large it was invading the surrounding vertebrae and the supporting muscle tissuc. It had also compressed my spinal cord to something that looked, on the x-rays, like a tiny white length of cotton. The voluntary use of my legs, bladdcr and bowels was all hanging, literally, by a thread. The Gentle Giant who performed the necessary six hours of surgery told me afterwards that the tumour he had removed was "at least as big as this" while cheerily proffering his huge, powerful clenched fist. I gazed in awe at his (now beautiful) bony hand and tried to imagine it clipping and cutting and sawing at delicate, vulnerable, tender parts of me in order to rescue me from both the terrible pain and a life in a wheelchair. My spine was now wired to two vertical metal rods and therefore a length of it just above my pelvis was now pernanently fixed and rigid. The surgeon had done a wonderful job and he was justly proud of himself; the rest was up to me. I spent the next few weeks recovering in the Royal United Hospital in Bath. The unit that received me so warmly, ensconced me so generously in a small side-room, and nursed me so well was a model of patient care. My previous hospital experiences had been very different - times spent hiding my homeopathic remedies, taking my vitamin and mineral supplements furtively and always aware of a sense of scorn and resentment towards my now famous, or maybe infamous approach to healing. Thanks to the good advice and helpful guidance of the physiotherapists, by the time I left the hospital I could get out of bed and walk the length of the corridor to the bathroom unaided. Unfortunately, after a month back at home, I could do very little more than this. Certainly the installation of an extra handrail cnabled me to haul myself up and down the stairs and I had learnt, by means of a rocking motion, to hurl myself out of chairs. But movements felt jerky and uncomfortable - goodness only knows what they looked like. I found that I could drive my car without too much difficulty, thus greatly enlarging my scope of activities, but I was becoming increasingly worried. I felt stuck. Nothing I did seemed to improve my progress any more. If I walked for any distance my back ached unbearably and standing for any length of time was impossible. One thing I could do was swim, and this I did almost daily, with typical urgency and forcefulness, but struggling in out of my clothes was heartbreakingly difficult and many a tear was shed silently in the changing rooms. A follow up visit to the surgeon revealed that he thought I was doing "brilliantly". This was obviously encouraging in one way, but it was discouraging in another. Was this really the best I could do? Had the nerve damage been irreversible? Was it time for a degree of acceptance? (Acceptance never having been my strong suit, I was resisting this like crazy). Nobody could really answer these questions and most of the people I asked thought I should focus less on the problems I had and more on the amazing fact of still being alive. I was amazed all right, and this amazement was based on awe: awe at the incredible powers of recovery my body had already shown. I was convinced there must be something else I could do to encourage this brave, intelligent body to continue to put itself right. By now, having all but run the gamut of alternative therapies, I had a vague idea I might try the Alexander Technique and made a few enquiries about it. A doctor friend of mine reacted warmly to this, but suggested I go for "something similar but different" called Feldenkrais. I was immediately enthusiastic to try this for the simple reason that I had never heard of it before and it would make a refreshing change to try a therapy I knew absolutely nothing about. (Acceptance by the back door you might say....) How to describe the wonder of that first treatment? Lying cushioned and comfortable on her couch I felt Ilana hold my foot in her hand and move my little toe. In response to this tiny, barely perceptible movement, my whole body relaxed with a sigh of understanding. My body knew instantaneously that this was what it had been waiting for. For months I had felt like someone trapped alive in a tin box with the lid jammed tightly shut. I had pursued or experienced many things that had helped me feel slightly better about life inside the box, but now, for the first time, the lid of the box was opened, and I had an overwhelming sense of the possibility of being released from its confines. This was an extraordinary and unforgettable moment and I realised I was smiling, more than that, I wanted to laugh out loud. In fact I have frequently found myself laughing during subsequent treatments. This is partly because the sensations I experience during the sessions are so pleasurable that I actively enjoy them, but also because that moment - that weird alerting little moment-when I find myself resisting or assisting some movement or another is itself inherently funny. This is an amusing process. Anything that shows you how frequently you collude with the painful, inefficient, unproductive way of doing something is pretty witty. These were the old patterns, developed and practised over so many years, small wonder I kept endlessly repeating them, even when they no longer worked for me. The trick now was to suspend those old processes and allow my body the opportunity to explore new ones. With each minute, inscrutable movement I could feel Ilana gently questioning my body - "Do you want to do it like this? Or like this"? "How does this feel"? - at the same time offering alternatives and different possibilities. In this way the three of us together probed and explored new frontiers to find new ways of doing the same old things. I left that first session with an all pervading sense of well being and the certain knowledge that my horizons were already much greater than the four walls of the box. I floated back to my car and, without thinking and completely automatically, I did something I had not been able to do for months - I put my left foot into the car and the rest of me followed. I was so surprised I had to sit there quite a while and absorb this. What happened to lowering - myself -carefully - into - the - seat - and - heavily -lifting -my - legs - in - after - me? Gone for ever hopefully, along with all the lurching, hurling and hauling. I had my best week for a long time. After an initial period of weekly visits I allowed myself to be persuaded to increase the length of time between sessions. From time to time, using a few tapes, I went through some of the movements at home and this worked well to begin with. But before long I caught myself thinking "I must do the exercises today" and then that same driving, goal-orientated part of me was urging me on to "finish the tape" even when my body had other ideas. It was shocking to see how quickly and insidiously my will started to dictate how much my body should do, how often, and for how long. If there was one thing the Feldenkrais experience had taught me it was to listen to my body. It was my body that would find the way, not my will, and it would find that way without urging or forcing. Indeed any urging or forcing would be totally counter-productive. I stopped bullying myself with the discipline of the tapes and concentrated instead on mynew found sensitivity and body awareness. When I became conscious of pain or discomfort I would try out various small adjustments to my posture: was it better if I shifted more of my weight on this hip? What would happen if I used a cushion to rest my head at a different angle? Exploring different possibilities gently in this way helped to reinforce the knowledge that there is no right way, but there may be a way that works. Most important of all -the way that feels best is the way to go. Forget "No Pain No Gain"; this is a way of making progress through pleasure. The body enjoys sliding into that moment of rightness, of opening up, of effortlessness and it will understandably choose to do that again and again if we let it. Every successive hour of treatment reinforces in me a sense of potential and freedom. It is even possible for me to feel supple, which is not what you might expect for someone with metal rods in her spine. I can walk further and stand for longer and most of the things I do are accomplished less clumsily and more comfortably, but perhaps even more important than this is the feeling that I am slowly becoming at one with my body. The damage and the wounds that were initially so dislocating are being gradually integrated into a new pattern. This will inevitably have its limitations but it feels exciting and creative and I am finally out of the tin box. The following description of our partnership in exploration and learning from the practitioner's point of view was written at Penny's suggestion. Penny Brohn was not the first person referred for Functional Integration by Dr Rosy Daniel from the Bristol Cancer Help Centre. However, her impending first visit reminded me once again most vividly of the warning we had been given during our training to be extremely careful with clients suffering from cancer - and never start sessions without first talking to their doctor. I didn't have the faintest idea how I would proceed in the case of somebody whose fragile backbone had been fortified with metal rods. Nevertheless, I was willing to take another step on the path from intellect to intuition which I felt I had embarked on consciously when I began training as a Feldenkrais practitioner. At the end of our first session I got Penny to try and sense - especially in her back - the difference between standing on the soles of the feet as compared to having her heels considerably elevated on precariously narrow heels. She could not feel any change but said she would observe what effect different shoes might have on standing and walking. Did that lack of awareness have anything to do with the self-image Penny was projecting towards the world? Anyway, I was puzzled about an apparent paradox. Penny seemed genuinely unable to feel what her shoes were doing to her pelvis and back, yet working with her had been sheer delight! She was wonderfully sensitive, responding to the slightest touch, and had no difficulty in visualising and imagining movements she could not yet manage. Our nervous systems had the most entertaining conversation, giving me an amazing sense of security where I might have felt pretty scared at doing the "wrong" thing. At the beginning of her second session Penny reported that the first had brought about an astonishing improvement in mobility - especially getting in and out of cars and chairs. I was glad that she also felt more aware of the effect different shoes had on her comfort - and somewhat awed that acute alienation due to severe trauma can be overcome so quickly, at least in the case of somebody who obviously had done a lot of work on herself. While Penny discovered once again how powerful and moving it can be to stop being active, really letting go and allowing yourself to be moved - she used the word "bliss" on several occasions - I found out something similar for myself. I was capable of relinquishing the wish to do and achieve. I had no difficulty in giving up all notions about what might be interesting or helpful for Penny, all clever ideas and calculations, trusting instead in the subtle communication that arises when two people really listen to each other. Thus we were both learning the same lesson, yet each in her individual way, guiding each other as in a dance where neither is the dominant partner. Penny's freedom of movement kept expanding, She told me other people had begun to notice the difference, while her husband found her different within herself, more open somehow, less preoccupied and more available. As in all true learning there were the inevitable ups-and downs as well. As Penny became more mobile, she also became more aware of the limitations imposed on her body by the rods in her back, and as a result spent a somewhat moody week. As we allowed the gaps between sessions to increase, she also found herself occasionally falling back into old patterns of pushing herself, overdoing her swimming for instance, and ending up in pain. I experienced moments of similar back-sliding. Once I had seen the incredible scar on Penny's back running from the upper sacrum to the 10th thoracic vertebrae, I sometimes had to be quite firm - but - gentle - with myself whenever I felt there was a danger of drifting into "thinking" about the next move or possible negative consequences for that area, or hoping vainly for a sense of control and certainty instead of trusting my sensation and intuitive grasp of what would be safe and pleasant for Penny. P.S. A propos "Intuition" and "Lovely Shoes". When Penny and I had a chance of comparing our responses to the experiment of writing about our mutual experience, we concluded, amongst other things, that this had been a means of clarifying our understanding of what makes the much discussed relationship between "client" and "therapist" work. I felt I could see more clearly what is involved in my notion of being a "facilitator" - for want of a better word - for very personal learning rather than a therapist. In our particular relationship that personal learning always had two aspects, Penny's learning and my own, since she "facilitated" my learning as much as I hers. I am particularly grateful to Penny for the conversation we had about intuition in the "therapeutic" relationship. That was sparked off by my qualms about using the word in my text without really elucidating what I meant. Penny, with her vast experience in that field, could talk most eloquently on the subject. She felt I needed to stress that "intuition" has nothing to do with hunches, guesses, or prejudice in the shape of preformed ideas, because there are alternative therapists who think and proclaim they are working "intuitively" while simply going by somewhat dubious personal notions. We both agreed that intuition is the fruit of much learning and knowledge that has truly become your own on a very deep level. "The more you learn, the more intuitive you become" Penny said and also mentioned the tennis player Jimmy Connors who counters the semi-accusation that his successes are sheer luck with the comment: "Well, you may be right there....The harder I practise, the luckier I get". We also talked about another point close to Penny's heart. She explained that the charming shoes she was wearing when we first met had less to do with the image she wished to project towards the world, than with the realization that in order to succeed in a battle where the odds seem to be so heavily against you, you need to express outwardly everything most positive you feel within yourself. So in Penny's eyes those sweet brightly coloured shoes represented the indomitable spirit, enthusiasm for life, beauty and joy that keep her going. But as she was talking, Penny suddenly had a revelation. They also represented a compromise. When one really happy, sunny day in London she found the same shoes she had once regretfully refrained from buying as too expensive, she bought them even though they were just fractionally too small. They became her favourite shoes and were not sacrificed to greater comfort as most others. What Penny could see in a flash was her habit of making her body the servant to all other levels of her being, asking it to put up with anything in that role, and never giving it the nourishment she was willing to give to any other - supposedly higher - part of herself. I think Penny put her finger on something we all need to look at! These two articles were written in 1993 and published in Feldenkrais Journal U.K. No. 6/Spring 1996.